Millions of Western Christians experience a painful bifurcation between their faith and their work. How can Christians see the divine purpose in their “secular” labors? And where can God’s purposes be found in the economic sphere? The “faith and work movement” in America is in danger of deepening the sacred-secular divide . . . by approaching and understanding church in some secularizing ways. If we want to find the sacred in the world – including in our workplaces – we must first find it in our churches. And when we do, our work can be revolutionized. That is the burden of this short TED-style talk I recently presented at a meeting of faculty members teaching in the Oikonomia Network of seminaries. The talk draws from a still-popular book called For the Life of the World, based on a series of talks on the mission of the church by the late Alexander Schmemann of St. Vladimir’s Seminary (Eastern Orthodox) in New York. An outstanding short review of a book about Dorothy L. Sayers’s theology of work. Book by Christine Fletcher. Review by my friend, faith & work journalist Dr. Jennifer Woodruff Tait. Platform: a faith & work blog geared for movement leaders, and well worth reading: http://www.greenroomblog.org. 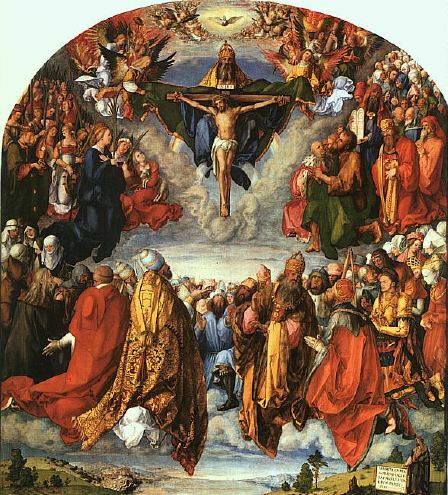 Book Review: The Artist and the Trinity. Does practicing the virtues demanded by the working life (such as industriousness, self-control, service to others, obedience to rules and leaders) reduce us to drones or pawns in exploitive structures of modern work? Or, Does becoming a good Christian worker mean sacrificing social conscience for placid obedience—prophetic witness for financial security? To help us answer this, we turn to our second past leader, England’s 18th-century evangelical pioneer, John Wesley. Anyone remember the opening ceremony of the 2012 London Olympics? As the spectacle started, before millions of worldwide viewers, England’s pastoral island paradise rose slowly into view from below ground, to the wafting strains of British composer Edward Elgar. But then – suddenly – the paradise was shattered. Like missiles from silos, belching smokestacks shot up to dominate the landscape, accompanied by violent drumming and harsh music. The Industrial Revolution had arrived. Legions of laborers overran the green land, marching and working rhythmically under the watchful eyes of black-coated capitalists. 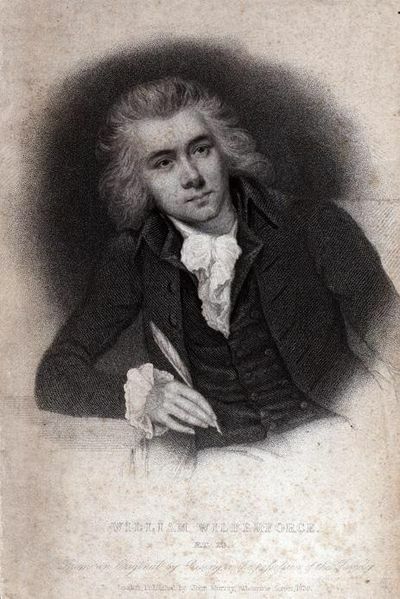 TV commentators gleefully quoted the Victorain poet William Blake, describing how the Industrial Revolution’s “Satanic mills” had brutalized the landscape and crushed workers. The ceremony’s creator, they told viewers, had titled this section “Pandemonium,” after the capital city of hell in Milton’s Paradise Lost. This dramatic vignette sets the stage for our second question about whether Christians are capitulating to immorality if they lend their labor to the industries of a secular world. Certain historians have leveled exactly this charge against one of the most active British Christian movements during the time of the industrial revolution: the Methodists. These historians have argued that the early Methodists simply capitulated, like sheep and slaves, to the worst of the Industrial Revolution, perpetuating its abuses when they should have stood against them. Methodism was born in the late 1730s—when the steady industrious virtue of the old Puritans and the new capitalist habits of long-term investment were beginning to build the commercial machine that would drive Western economic growth in the centuries to come. Does time dedicated to working in the secular world endanger our souls? Is there an inherent tension or contradiction between the “worldliness” of work and the “spirituality” of faith? A century or two before the opening of the Middle Ages, the theologian whose influence would become definitive for the next thousand years, Augustine of Hippo, distinguished two spheres of human endeavor: the “active life”—our work in the world—and the “contemplative life”—our private worship and prayer. The active life could be good, but the contemplative life, such as that enjoyed by monks and nuns, was much better—and indeed safer for our souls. Augustine’s view has persisted in some circles right up to this day – but it was quickly challenged by the man some consider the spiritual father of the medieval church, as Augustine was its theological father. Born into a wealthy family and educated in grammar, rhetoric, law, and letters, young Gregory—who would become Pope Gregory the Great (540-604)—rose by age 33 to the exalted position of Roman prefect, in charge of the city’s police force, food supply, and finances. Gregory found in Augustine’s distinction between the active and contemplative life a frightening challenge to his spiritual life. He worried that all the ordinary, daily, and challenging work of the prefecture might be endangering his very soul. Where in all the busyness could he find God? Agonized, Gregory left his wealth and power, taking on the monastic vows of obedience, poverty, and celibacy, and the monastic life of daily disciplines, prayer, and Bible reading. He expected to live out his years safely ensconced in the contemplative routines of the cloister. After a hiatus, I’m back. Sorry friends – it’s been a crazy life this past year or more. If anyone ever asks you to start an entrepreneurial initiative at a conservative religious college, maybe think a couple times before saying “yes” . . .
First I should say (but you know this already): It ain’t easy. It ain’t obvious. And for a lot of us, we’re just not sure it can ever really happen. (4) Spoiler alert: Their names are Gregory, John, Charles, and . . . well . . . Clive. Here’s a piece I did a little while back on Patheos.com on who evangelicals are and where they’re headed – getting to the nub of the matter. “What do this fundamental immediatism and this youth-driven quality mean for the future of evangelicalism? First, they very likely mean that whatever touches the hearts and minds of the generation rising right now – the adolescents of today – that will shape evangelical worship, ecclesiology, and doctrine for years to come. “An optimist could point to the dynamism and renewal that emerged from past youth movements, or to the laudable and faithful concern of many young evangelicals today for justice, creation care, and other historical blind spots of the movement. Attending the Q Conference in Boston this past week, I was reminded that almost any evangelical who wants to leverage their vocation to change the world takes William Wilberforce’s Clapham group as a sort of knights-of-the-round-table paradigm. But few seem to know much about this remarkable group. So as a public service, here’s my . 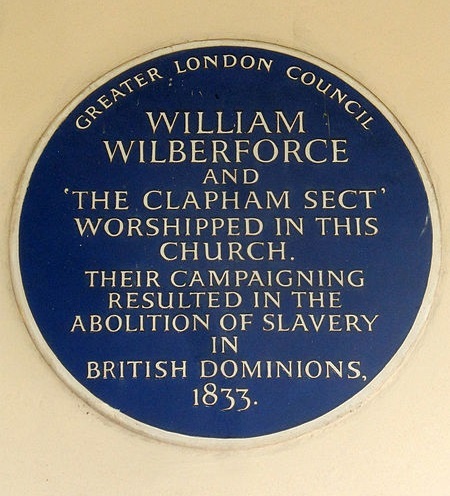 . .
First the basics: The Clapham Sect was a group of aristocratic evangelical Anglicans, prominent in England from about 1790 to 1830, who campaigned for the abolition of slavery (among many other causes) and promoted missionary work at home and abroad. The group centered on the church of John Venn, rector of Clapham in south London. What should Protestants think about the Catholic sacrament of penance (confession)?